An all time favorite dish of Mr N and to be honest, I wasn't a big fan of it, until I got married & this was a staple Sunday breakfast. The town we lived in is famous for its Misal, so I never really made it or attempted to make it back home. But since moving overseas, we have been craving Misal and have tried to make it. But if you make the original version, where you make the "Usal" first & then the "Tarri", its just too time consuming. I have found a quick & easy recipe, that works on a weekday. The reason why I like this version, is because I dont need any fancy ingredients, except soaking the sprouts the night before. I have a post on how to get good sprouts at home. Misal is so close to my heart, as its reminds me of early days of my married life, enjoying a lovely Sunday breakfast with the family. Its interesting how you can relate certain aspects of your life to food. In my head it will always remain Mr N's dish, and to be quite honest, it is kind of like him. A hot, spicy exterior and when you first meet him you dont know if you will be able to handle it, but just like the misal, when you delve deep you find the soft interior, that is so balanced and perfect that you just long for more. I am so happy I can recreate this now, as it makes him really happy. So here's presenting a dish full of flavour & punch just like my "N"
Cooking the sprouts: In a pressure cooker or a pasta pot, cook the sprouts. In the cooker, add water at the bottom of the cooker. In a stainless steel pot add the sprouts, wash them once and remove water. Add about a cup and half water and add to the sprouts. Cook till 4 whistles. (This will change depending on size of your cooker). If using a pasta pot, add the sprouts & water, cover & let it simmer for 7-10 mins or until they are tender. You dont want them all mushed up, so make sure you don't over cook them. In a deep sided pan or pot, add about 3 tbsp. oil. It is imp to add extra oil at this stage as this is how you get a "tarri" or a spicy film of oil on the top of your Misal. Add curry leaves & mustard seeds & let them pop. Add the onions & fry till soft. Toss in the ginger paste & garlic paste. Cook for 2-3 mins, till the raw flavor is gone. 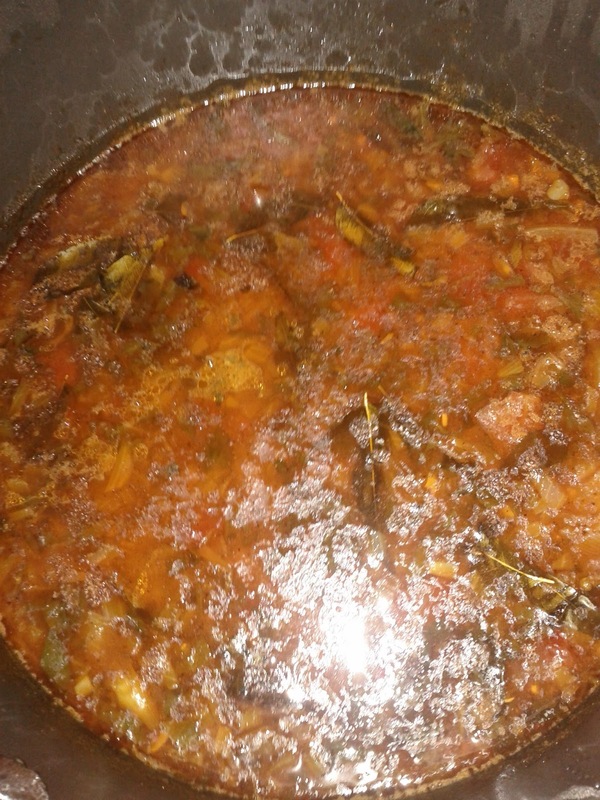 Add the tomatoes along with the turmeric, chilli, salt, garam masala and coriander leaves. Mix well. 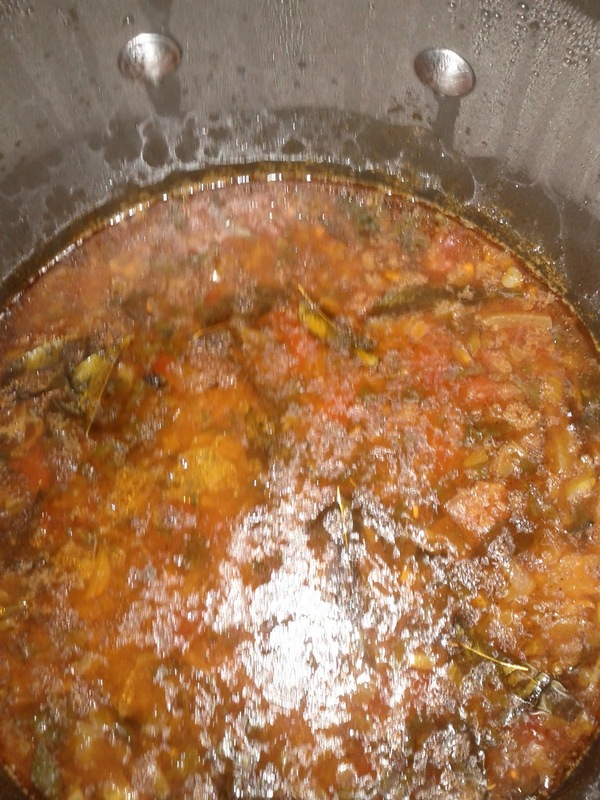 Cook till tomatoes are reduced to half & oil is separated from the mixture. Cover & cook for 2-3 mins. Open the lid & add the cooked sprouts. Mix well, add water if its getting too thick. Cover & cook for another 5- 7 mins. Take it off the heat & open the lid carefully. You should see a nice red film floating on top of the beans. The masala gravy is ready. Add more or less water, depending on how thin you like it. I dont like mine too thin, but traditionally there is more of the masala water & less sprouts, I like to keep it healthy so I add more sprouts & not too much water. In a bowl, add the misal. Take the sprouts first & add the tarri or the water thats floating on top. Sprinkle with chopped onions, hot mix and coriander leaves. Squeeze the lime or lemon, to counter balance the hotness of the misal. 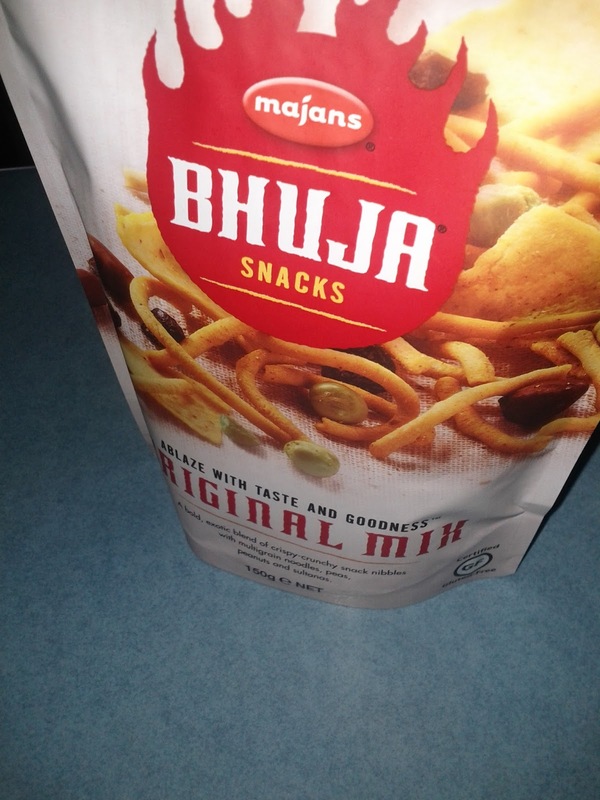 Mixing all this, makes it a misal! 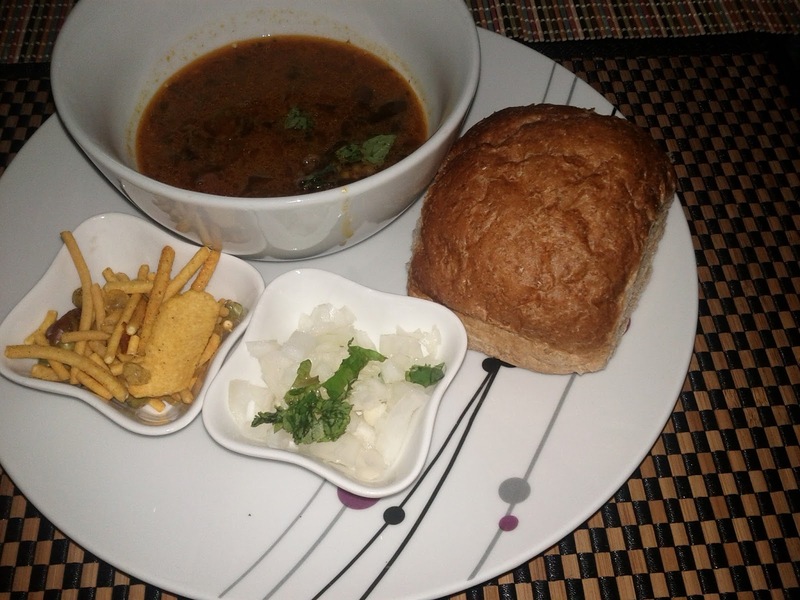 The trick is to take a bite of the bread, followed by the misal. 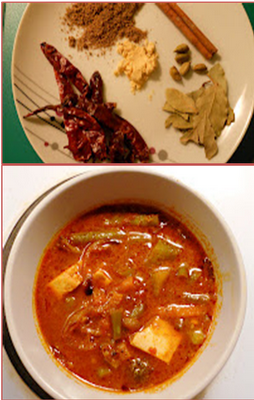 Follow your meal with some plain yogurt or butter milk so you dont get heart burn from the spiciness. 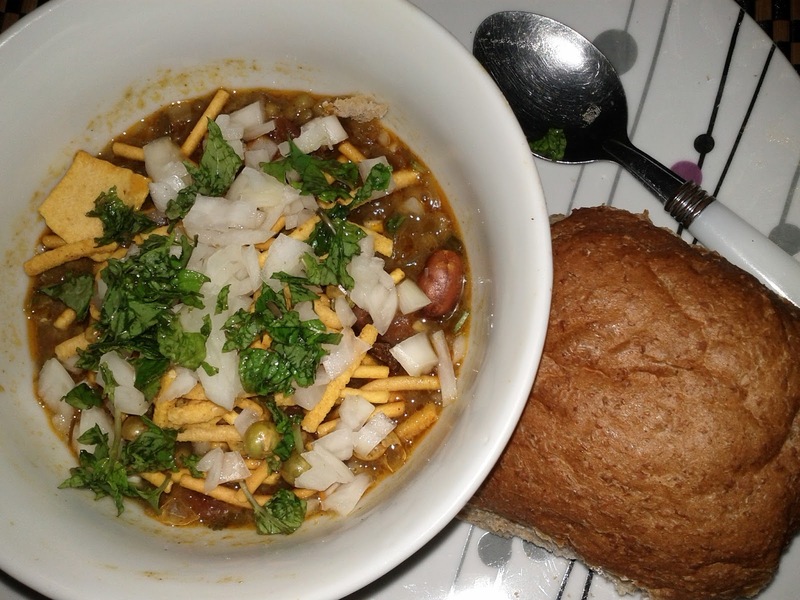 Misal, is usually made when you have left over usal, which is nothing but all the spices, and sprouts mixed together, minus the water, reduce the amount of chili & oil. Makes a great lunch option. I do have a simple Usal recipe. Its a great way to get kids to eat sprouts. 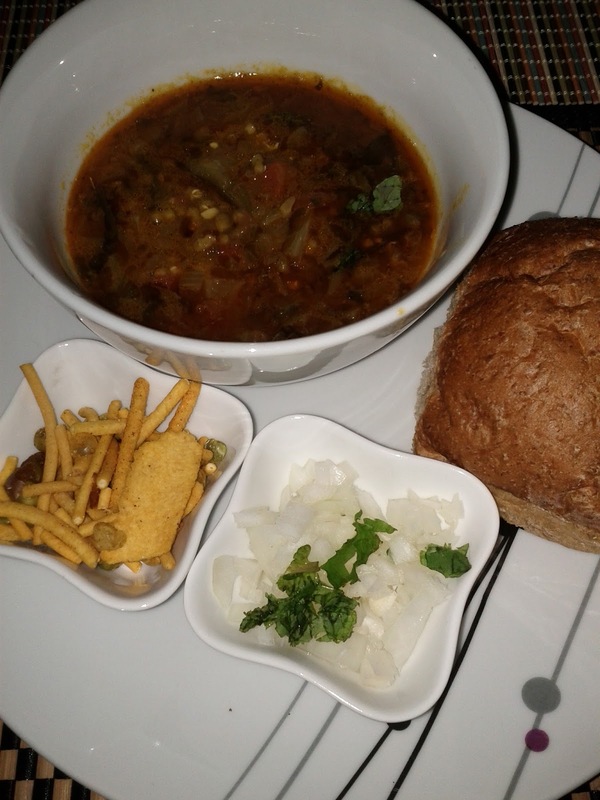 This recipe can never replace the authentic misal you get in a tiny shop, where there is a assembly line with containers full of coriander leaves, onions, farsan and the misal-tarri. Cant wait to go home & have some, but in the mean time this will do. 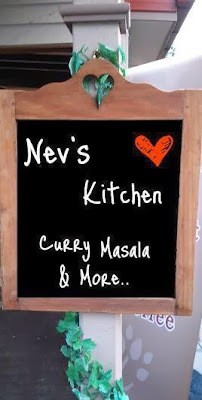 Straight from Nev's kitchen, hope you enjoy it! !